Kirkleatham lies on the flat land to the southeast of Teesport, sandwiched between two busy roads and exposed to cold winds blowing in off the North Sea. Cranes, storage towers and chimneys dominate the skyline on the approach from Saltburn. These all disappear from view after turning off the main road into the wedge of land that is Kirkleatham. The scattered buildings that make up the village are few in number giving a feel of desolation. Visiting late in the afternoon meant that the museum and owl centre were closed and the church was locked! The museum houses an exhibition of finds made during the excavation of an Anglo-Saxon cemetery at nearby Street House Farm (2005-7). The artefacts include beautiful gold jewellery found in a very rare example of a ‘bed burial’, an indication that the grave belonged to a high ranking member of society or a woman of royal descent. The location of Kirkleatham and the lie of the land would not offer a place of refuge from weather or enemies, so it is intriguing to speculate why the monks would have come here with Cuthbert’s coffin. The discovery of the burial site at Street House, just a few miles from Kirkleatham, tells us that this was an area inhabited by aristocracy or royalty in the mid 7th century. Maybe this royal burial site was being reviewed by the monks as a suitable permanent resting place for Cuthbert. Or perhaps it was a place where they could be assured of hospitality and patronage. You will see a lovely courtyard of almshouses at Kirkleatham, these “have provided sheltered accommodation for retired people continuously since 1676”. It is nice to think that 1000 years after his death the protective spirit of Cuthbert inspired the building of the almshouses to care for his beloved Northumbrian people. 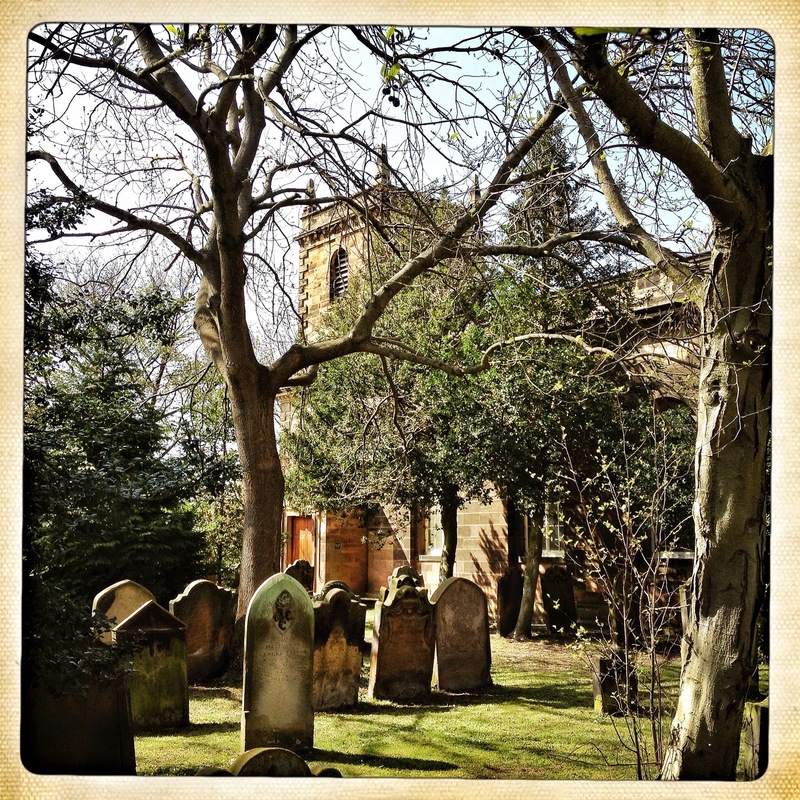 This entry was posted on June 17, 2013 by richardwhardwick2013 in Kirkleatham and tagged community of st cuthbert, juliet lunn, kirkleatham, st cuthbert.